Looking for a job in Rock Island County Illinois? 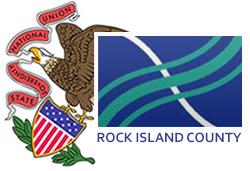 This Rock Island County Illinois job guide is a resource for job seekers looking for legitimate employment opportunities in the region with an emphasis on government positions, top healthcare employers, public school careers, and major job boards. Rock Island County Illinois periodically posts job openings. Open positions found on this review date had included Health Department job opportunities, healthcare jobs: Nursing Staff RN, LPN, and CNA positions, Court Services Department: Administrative Secretary, State's Attorney's Office Job Opportunities: Assistant State's Attorney, and Niabi Zoo Job Opportunities: Animal Handler I. Check for current listings. Rock Island Illinois was hiring. Open positions available had included Aerobics Instructor, ASP Tutor, Adventure Camp Counselor, Campbell Sports Complex Concession Worker, Crossing Guard, Facility Technician, Firefighter, Greenskeeper, Golf Jobs, Pro Shop Attendant, Lead Teacher, Lifeguard, Park and Recreation Counter Worker, Preschool Aide, RIFAC Building Supervisor, Concessions Worker, Facilities Maintenance Jobs, Horticulture Maintenance, Laborer, Pool Attendant, Parks & Recreation Jobs, Recreation Manager, Water Exercise Instructor, Customer Service Jobs, Security Jobs, and more. East Moline had job postings for FireFighter Testing and Wastewater Treatment Operator Helper. The City of Moline accepts online applications and posts job listings when vacancies exist. Silvis periodically posts open positions. Check for updates. Visit the Worklooker Davenport Job Guide for more government job listings, employment opportunities in education, public safety, healthcare, and more. John Deere has its headquaters in Moline and offers an ongoing array of exciting career opportunities. Deere & Company is one of the world's most admired businesses. Hy-Vee is listed as one of the largest employers in the region. Hy-Vee ranks among the top 25 supermarket chains and the top 50 private companies in the United States. UnityPoint Health - Trinity operates four full-service hospitals in Rock Island and Moline, Illinois, and Bettendorf and Muscatine, Iowa, with a total of 584 licensed inpatient beds. A survey of open positions available had included opportunities such as Registered Nurse RN Case Manager, General Surgery Nurse RN, Medical Surgical Nurse Float Nursing, Sign-On Bonus for Nurses, Certified Nursing Assistant CNA, Ambulatory Informaticist, Adult Behavioral Health Registered Nurse, Administrative Secretary, IT Jobs, Applications Analyst, Attorney, Hospital Security Jobs, Billing Account Specialist, Clinician PRN jobs, Behavioral Health Clinician, Biomedical Technician, Birthcare Assistant, Cardiac Med Surg RN, Cardiac Sonographer, Cath Lab Tech, Certified Medical Assistant, Certified Medical Assistant Urology, Certified Nursing Assistant CNA ICU, Rehab CNA, Charge Nurse, Certified Occupational Therapy Assistant COTA, Medical Telemetry Nursing Jobs, Clinic Nurse, Licensed Practical Nurse LPN, Clinical Educator, Clinical Nursing Jobs, Medical Coder, Companion, Cook, Dietitian, Emergency Department RN, Emergency Dispather, Environmental Services Aide, Emergency Technician, Hospice Aide, Housekeeper, Housekeeping Jobs, Hyperbaric Technologist, Janitor, Medical Laboratory Technician, Medical Office Assistant, Medical Technologist, Mental Health Worker, Nurse Practitioner, Occupational Therapist, COTA, Paramedic, Patient Care Tech, Pharmacy Tech, Pharmacy Technician Jobs, Phlebotomist, Physical Therapist, Physical Therapist Assistant, Psychologist, Radiologic Technologist, Receptionist, Respiratory Therapist, Surgical Tech, and more. Hope Creek Care Center provides quality care in a homelike setting. Open positions are advertised on the Rock Island County page. Here you'll find open positions such as Nursing Staff Registered Nurse RN, Licensed Practical Nurse LPN, and Certified Nursing Assistant CNA positions. Opportunities include competitive wages & benefit packages. Genesis Health System had open positions. Listings found had included Full-time Medical Assistant, Part-time Medical Assistant, EMT-B/ED Tech, Athletic Trainer, and Physical Therapist. Community Health Care periodically hires for a variety of positions. Here you may find jobs such as Illinois Nurse Manager, Registered Nurse Team Lead, Health Records MA/LPN, Medical Assistants, Lab Assistant Moline, Dental Hygienist, Clerical and Administrative Openings, Patient Registration, Coder, Part Time Appointment Schedulers, and Nursing Specialist. Located on Sixteenth Avenue in Moline, IL, Heartland provides individualized post-hospital skilled nursing care in a comfortable environment. Heartland Health Care Center had open positions for Human Resources Director, Alzheimer - Dementia Unit Director, Certified Nursing Assistant CNA, Nurse Practitioner Post-Acute and Rehab, Registered Nurse RN, Licensed Practical Nurse LPN, Occupational Therapist OT, and Speech Language Pathologist. East Moline School District 37 had employment opportunities such as Special Education Resource Teacher, Special Education Cross-Categorical Teacher, School Counselor, Paraprofessional, School Nurse, School Secretary, Middle School Dean of Students, Middle School Associate Principal, Transitional Bilingual Education Teacher Grades K-1, Transitional Bilingual Education Teacher Grade 2, Guest (Substitute) General Kitchen Helper, Guest (Substitute) Teacher, Guest (Substitute) Custodian, Substitute School Bus Driver, Bus Monitor, and Crossing Guard. Check for updates. Moline-Coal Valley Community Unit School District 40 was hiring. During review the following positions were found: Elementary School Special Education Job, Elementary Multi-categorical Special Education Resource Teacher, Itinerant Teacher of the Visually Impaired, English Speech Drama Teacher, Special Education Teacher with Behavior Emphasis, Substitute Administrative Assistant Job, Substitute Custodian Job, Substitute Paraprofessionals, Lunchroom Aides, Ongoing Substitute Teachers Needed, Certified Hourly Instructor, ELL Teacher, High School - English Language Arts Instructor, Mathematics Teaching Job, Certified Hourly Instructor ELL, Substitute Health Professional RN Job, Homebound Certified Hourly Instructors, Paraprofessional ELL Job, Deaf - Hard of Hearing Interpreter Job, and Reading - Math Interventionist. Rock Island-Milan School District 41 had open positions on this review date. Employment opportunities found had inclduded Elementary Teacher, English-Language Arts Teacher, Music Teacher, Food Service / Cafeteria Workers, Head Start Instructional Coach, Head Start Assistant Teacher, Bus Monitor, Head Start Classroom Substitute, AVID Tutor, Swim Coach, Assistant Cross Country Coach, Hall Monitor, School Custodian, Substitute Paraprofessional, Substitute Registered Nurse, Substitute Secretary, Substitute Teacher, Special Education Teacher, and more. Rockridge Community Unit School District 300 was hiring for the positions of 4th Grade Teacher, 5th Grade Teacher, Elementary PE Teacher, Elementary Music Teacher, coaching jobs, and support staff positions. Sherrard Community Unit School District 200 employment opportunities found included Reading Teacher, Dance Coach, Assistant Football Coach, Challenge Teacher, English Teacher, Social Studies Teacher, Special Education Paraprofessional, and School Bus Driver. Monitor Silvis School District for upcoming teaching and support staff jobs. United Township High School District 30 employment listings found had included Behind-the-Wheel Instructor Job, Certified Nurse Assistant (CNA) Clinical Instructor Job, Special Education Teacher Job, Substitute Custodian Job, Seasonal Grounds Keeper, Substitute Teacher, Cafeteria Substitute, Part-time Bus Monitor, and Substitute Bus Driver. Augustana College's large and diverse workforce makes it one of the largest employers in the Quad Cities. Augustana is a selective, private liberal arts and sciences college, founded in 1860 by Swedish settlers. Visit their employment page to learn more about available faculty and staff positions. The Quad Cities Chamber is the champion for business and community progress. The chamber maintains a business directory, career center, and a listing of the largest employers in the region. Quad City International Airport will post jobs as vacancies become available within the Aiport Authority. Other positions within the airport require that you contact them directly. These include airlines, car rental agencies, TSA jobs, restaurant and gift shop jobs. Monitor the State of Illinois web-based electronic hiring system for job openings in Rock Island County.